A Newbie’s Guide to Bali! | Am I Nearly There Yet? Whether it’s a long haul trip to Los Angeles or a day-trip down the road to the nearby national park, getting to know your destination before heading to the airport is one of the most important aspects of travel. Planning a trip to Asia is often a daunting prospect for some first time travellers, as the cultures and customs can be a million miles from what you’re used to back home. And whilst there’s no all encompassing bible that covers everything, if you’re heading to Bali, we think we can help. Here are eleven things you should know before you go that will help you to prepare for and make the most of your trip to the island of the gods! 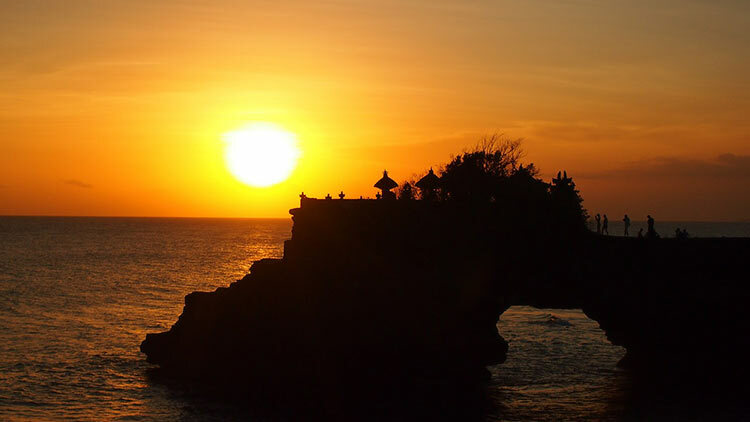 Bali enjoys a year round warm climate, with temperatures during the dry season averaging at around 28⁰c (May-September). This is of course the best time of year to visit, however if you are looking to save a chunk of cash, head to Bali between October and April. Although you might question why you would ever want to visit during the wet season, understand that the rains are often limited to brief afternoon downpours, so you can easily plan your day around these and still enjoy the trip of a lifetime. Although public transport is basically non-existent in Bali, despite this, getting around couldn’t be easier. Taxis can easily be hailed in populated areas, but if possible, opt for a Bluebird Taxi. 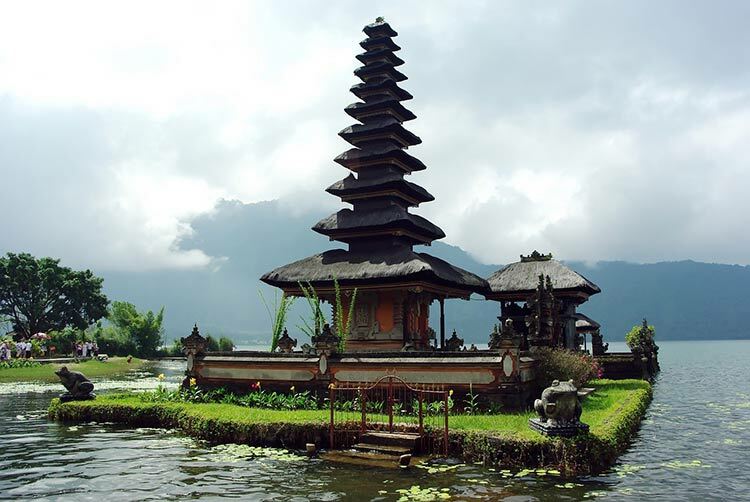 These are hailed as the most reliable of all the taxi companies in Bali as they are metred. The roads are congested in the bigger towns and hiring a motorbike is one way to avoid being sat in smog and fumes in the midday heat. Keep your eyes peeled for a Bemo, one of Bali’s minivan taxis. They’re cheap to ride and will take you from city to city, however don’t expect to be on time or particularly comfortable. Some luxury hotels will offer a complimentary car service, so if you are sightseeing for the day, always take advantage of a private driver. As in most Asian countries, bargaining is a huge part of the shopping culture for tourists. It’s okay to try and land yourself a bargain by haggling at one of Bali’s colourful markets, but be aware that it isn’t acceptable at shopping malls. Bargain with respect and always know when to walk away. Tipping in Bali is not compulsory as prices are subject to a 10% government tax and up to an 11% service charge anyway, but if you experience a great meal or memorable service, then leaving 5-10% of the bill in tip is the done thing. Bali is more than likely a lot cheaper than where you’ve come from, that is of course unless you live in Asia. A stay at a luxury hotel in Bali isn’t off the cards, as 5* services and amenities are available at a fraction of the cost when compared to the western world. You’ll be able to live like a king on fine Balinese foods and enjoy luxurious spa treatments at your leisure. When visiting Balinese temples, ensure you wear a waste cloth and dress conservatively. Taking into account the heat, linen trousers and tops are a great option. Many temples will loan waste cloths to visitors, although some will ask for donations. Always use your right hand to gesture. Bali’s bustling bits ignite the animated socialite within all of us, but the true gems of Bali are to be found outside of hubs like Kuta and Seminyak. Head to either the north or east coast to wander through the peaceful fishing villages and local markets found in sleepy coastal towns. 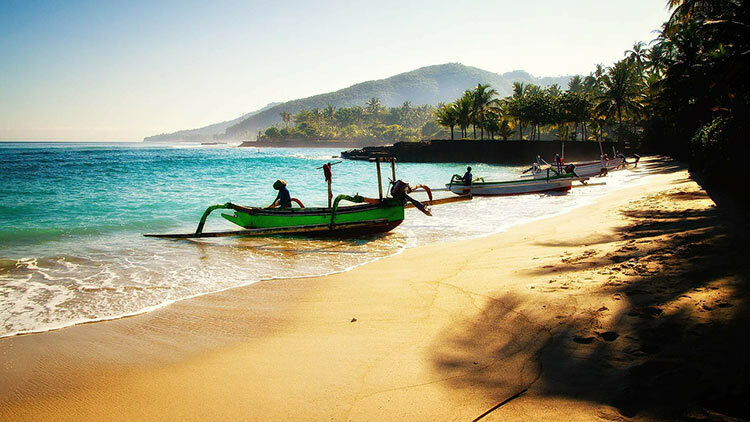 Rural Bali is the real Bali, and getting off the beaten track will open your eyes to the true beauty of the island. 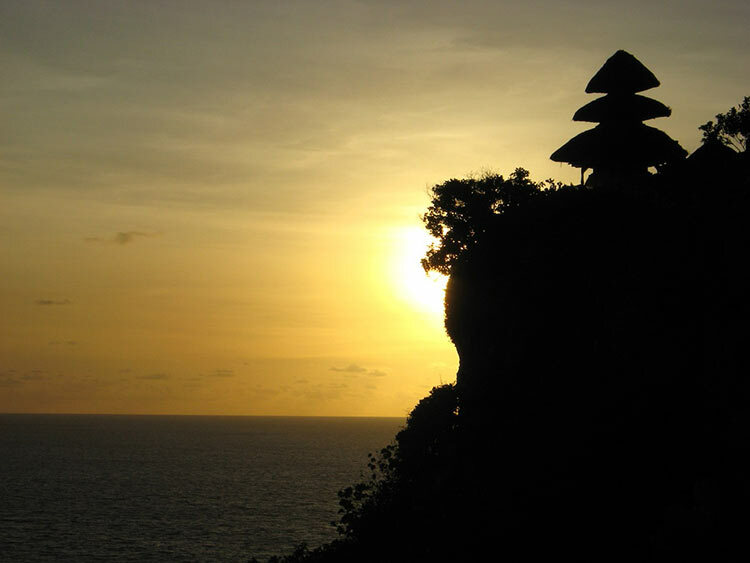 Religion plays a huge role in Balinese culture. With temples in all directions and rituals occurring daily, it’s easy to get swept up in the people’s passion for their beliefs. Every day, spiritual offerings to the gods are made. They are colourful, unique and a sight to behold as you wander the streets. Woven baskets adorned with vibrant colours make for a colourful display of Balinese life, just be careful not to tread upon them as you walk the streets. One thing you’ll notice when you start to make friends among the locals is that they all just so happen to share the same names. This is no coincidence and is not akin to being called “Mr. Smith” back home, as there are only a handful of names up for grabs in Bali. You’ll find wi-fi anywhere that’s seen even a remote sniff of a tourist, making Bali a tech-savvy island of sorts by Indonesian standards. Using your credit or debit card is no problem at all and in fact, you might find that the only time you need to resort to cash is when eating at a warung, bartering at a market or paying taxi fares. Bali is an island of opposites. From black sand volcanic beaches fringed by lush green jungle, to soaring volcanoes that dominate the landscape, it’s hard to believe that you haven’t left the island as you move from ecological zone to zone. There’s Something for Everyone In Bali! One of the reasons Bali has become a holiday hotspot for eager sun-seekers the world over is because of the sheer diversity to be found on the island. With waterparks and activities like horse riding on hand for families and secluded beach resorts and island hopping cruises ready and waiting for loved up couples, Bali has something for every type of traveller to enjoy. 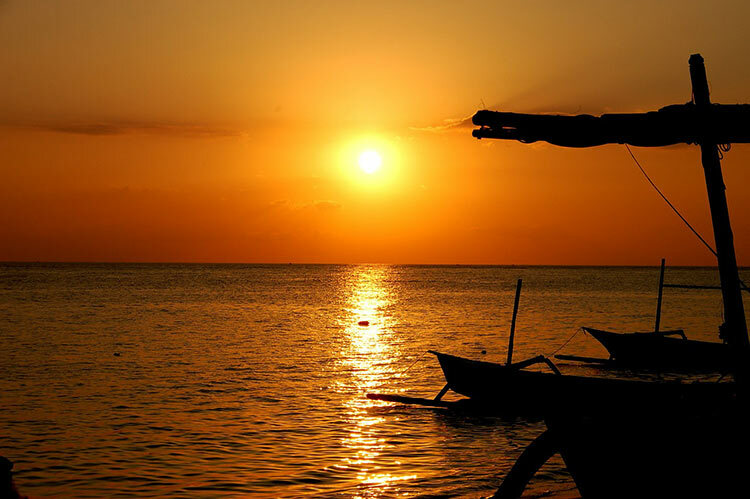 From chic boutique shops to the bustling fish markets- embrace and enjoy each and every side of Bali! One Response to A Newbie’s Guide to Bali! I would add that Bali is a island of festivals to. The Bali Arts Festival occurring from mid-June to mid-July every year and other events like the International Ramayana Festival, Ngerebeg Ceremony, Med-medan and Kuningan are some of the biggest festive attractions in this place.